It's 04:57 in Averill Park, USA right now. 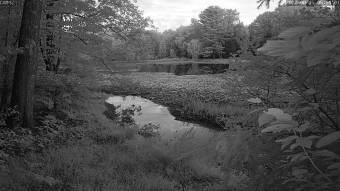 Willow Pond Webcam at Willow Pond in Averill Park, NY. Troy, New York: Sacred Heart School, 7 miles away. Eagle Mills, New York: Landscape View, 7.1 miles away. Albany, New York: New Scotland Elementary School, 10.3 miles away. Schenectady, New York: St Madeleine Sophie School, 23.2 miles away. Ballston Spa, New York: Ballston Spa Central School District, 29.4 miles away. Schuylerville, New York: Schuylerville High School, 32.2 miles away. Chester, Massachusetts: Chester Hill, 38.2 miles away. Schoharie, New York: Schoharie CSD, 38.5 miles away.